Every day, the people of North Dakota rely on medical professionals to provide them with proper medical care. Whether in a doctor’s office, an emergency room or on a surgical table, physicians are responsible for conducting themselves with reasonable care and consideration for their patients. When a physician’s negligence causes serious injury or fatality, the ability to recover monetary damages may hinge on the experience and skill of your attorney. The highly capable North Dakota medical malpractice attorneys of Larson Law Firm P.C. have represented numerous clients in medical malpractice cases. If you believe a medical provider’s mistake or substandard care caused or contributed to your injury, we can help. If you have a viable claim, we will put all of our energy into pursuing the justice you deserve. The truth is, a bad outcome after a procedure or course of treatment does not necessarily constitute medical negligence. Sometimes, bad things simply happen to good people. If, however, the medical professionals involved in your care acted in a negligent manner, then you could have a claim for medical malpractice. Once all these have been proved, then we can make a claim for damages. In some cases, you may be able to settle your case without going to trial. However, many insurance companies will offer a very low, or unfair, settlement amount. When this happens, you must decide whether you wish to pursue your claim in court. When asserting medical malpractice in North Dakota, it is very important to note that the state has a two-year statute of limitations for medical malpractice claims. This means that you generally only have two years to commence your claim for compensation. While this may seem like a reasonable time period, the full extent of injuries is sometimes unknown until well after the fact. For example, a client must wait to find out if a remedy might restore his vision that was lost after a doctor failed to diagnose a treatable eye condition. Likewise, nerve damage or brain damage to newborns may not be discovered or fully realized until the baby is one or two years old. These complexities make it vitally important to contact an attorney as soon as you suspect malpractice. Our skilled North Dakota medical malpractice lawyers will consult with medical experts to gauge the prognosis for recovery and ongoing care needs, and to demonstrate how the doctor, nurse or medical staff failed to meet the accepted standard of care. 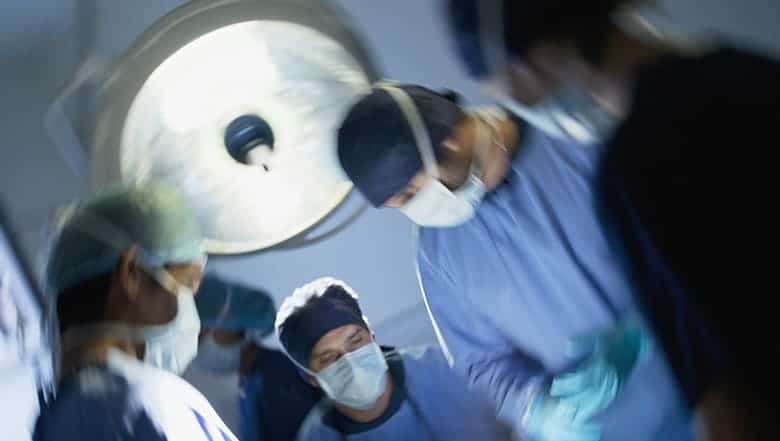 At Larson Law Firm, we have handled a number of cases dealing with medical malpractice or negligence by hospitals that are governed by federal agencies. For example, in cases involving air force hospitals, a service member cannot file a claim against the government, but a knowledgeable North Dakota medical negligence lawyer can assist with a claim on behalf of a dependent spouse or child. Our founding attorney, Mark V. Larson recovered the largest settlement in state history for a stillborn baby. The delivering doctor at the North Dakota air base hospital failed to take the baby by C-section when the mother developed a fever. The baby also became fevered while the physician waited for a natural delivery. The infant’s distress was further compounded when the mother was injected with a saline solution, resulting in the stillbirth. Our legal team provides each client with quality and reliable legal representation. 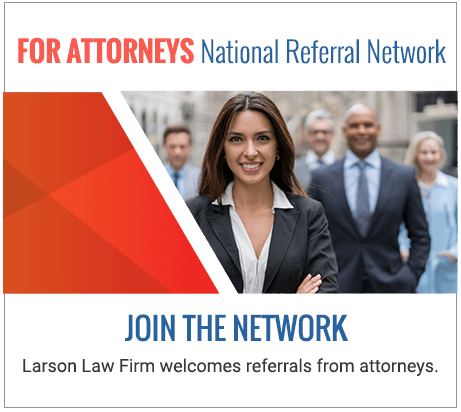 Mr. Larson is a certified civil trial specialist by the National Board of Trial Advocacy. Although he consistently achieves fair settlements in the majority of cases, he prepares every medical malpractice case for the possibility of a trial. The lawyers of Larson Law Firm P.C. have years of knowledge and experience in the courts of North Dakota. If you were injured by a medical professional, trust a firm with a proven track record of success. Complete our contact form or call us toll free at 701-484-HURT to schedule a free initial consultation. From our office in Minot, we represent medical malpractice clients throughout Ward, Williams, McKenzie, Pierce and Mountrail Counties.